We offer a number of options for academic programs in Ecuador which you can learn more about by clicking on the relevant sections below. These programs can be combined with Spanish classes, adventure or other travel to create programs for individual students or groups. True Ecuador Travel can arrange the entire package, as well as provide in-country advisors for students' research projects. 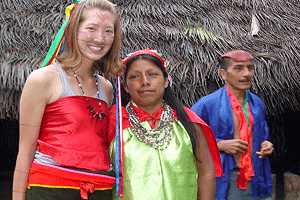 Ecuador is the perfect place for Study Abroad programs with its diversity of cultures and environments. 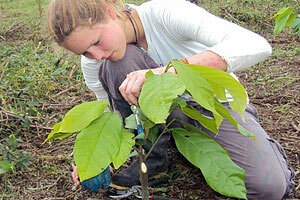 We can organize Spanish classes and volunteer placements in Quito or Cuenca, plus . . . Through our non-profit NGO we have links with many of the different cultures of Ecuador, and we can arrange placements all around Ecuador, along with academic support for research and program work . . .
Part of the mission of our NGO is to promote cultural exchange between persons of developed and developing countries to increase understanding of our inter-relationship in a globalized world . . .
With an extensive network of contacts with grass-roots organizations and communities around Ecuador we can place students in positions to carry out internships in a wide range of academic fields, offering academic support for research methods and data gathering . . .